How Much Would it Cost to Fix Moaning Myrtle’s Bathroom? If you’re a big fan of the Harry Potter series, you should know about the bathroom haunted by the ghost “Moaning Myrtle,” who was brutally murdered by the basilisk as explained in Harry Potter and the Chamber of Secrets. It’s used as a place for Hermione to create her polyjuice potion and is later found to hold the entrance to the Chamber of Secrets. But what if Hogwarts decided to renovate that bathroom? 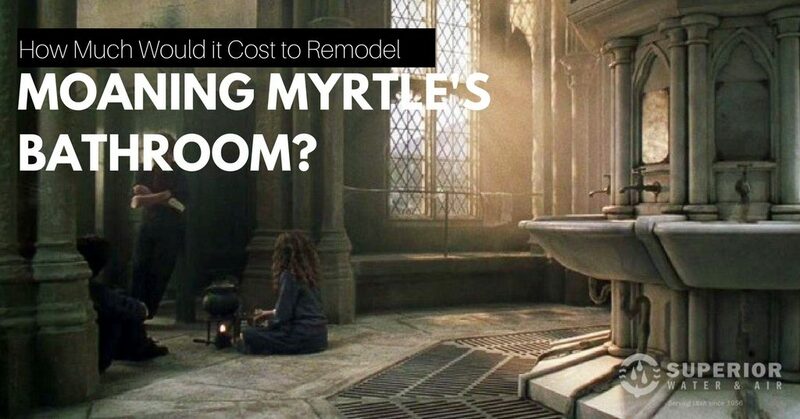 Here’s what it would cost to remodel Moaning Myrtle’s bathroom! How Big is Moaning Myrtle’s Bathroom? In order to determine the cost of a project like this, it’s important to calculate a rough estimate of how big Moaning Myrtle’s bathroom is. While the actual size of the bathroom is unknown, if you’re basing the size on the movie, there appear to be around 10 stalls and 8 sinks. Each stall should be at least 36 inches wide and at least 60 inches deep. There also appears to be a 3 to 5-foot walkway between the two columns of stalls. The area where the sinks are is an indeterminate size, but we can safely assume that the area is at least as big as the area with the stalls, leaving us with a room that has a grand total of at least 450 square feet. Concrete would be the easiest and cheapest option. Most places, especially Hogwarts, would already have a cement floor, so it’s just a matter of adding a layer of stain to block out moisture and prevent stains. This stain would last for years and it would easily match the style of the rest of the castle! Vinyl is another cost effective option for bathroom flooring, however, it will not last as long as concrete or ceramic options, especially if there’s a lot of foot traffic. A good luxury vinyl is great for home bathrooms, but it would be less effective in a bathroom with plenty of students walking in and out. This option is the most expensive, but it is sure to last longer and look better than the other two options, depending on the tile choice. Ceramic is built to be waterproof and won’t fade, which makes it a great option for a place like Moaning Myrtle’s bathroom, which often gets flooded. The stalls in Moaning Myrtle’s bathroom appear to be mounted on the floor with an overhead brace. The original stalls are made of wood, but the committee at Hogwarts may decide it’s time for an upgrade. Depending on the material chosen for the 10 new stalls, the cost to add new partitions could range from $300 per stall to $800 per stall, not including installation costs, which could range from $500 to $1,000 per stall. Based on our estimate of 10 stalls, Hogwarts may be spending anywhere between $500 to $1,000 per toilet. The cost of each toilet is determined by the quality and style, not to mention installation costs. A good plumber can make installation easier and more cost-effective, depending on the choice of toilet. Sinks for Moaning Myrtle’s bathroom are a cheaper expense if looking to renovate a large bathroom. For a simple sink, Hogwarts could be looking to pay around $100 to $300 if they aren’t looking for anything fancy. However, Hogwarts could be looking to pay more if they need customized sinks that fit in the center column of sinks. Any good bathroom should have access to hot water. Considering how big Hogwarts is, it may need an extra water heater just for its bathroom. The best option for this bathroom would be to have a tankless water heater installed! While it costs more than a water heater with a tank, there are a number of advantages of going tankless. Tankless systems last longer than tank systems. They don’t run out of hot water. They cost less to operate. No one said renovating a bathroom would be cheap, even for Hogwarts! If you’re thinking about doing a bathroom renovation job on a smaller scale or you just need repairs because a “Moaning Myrtle” ended up flooding your bathroom, give Superior Water and Air a call. We can help with clogged drains, toilet installation and repair, and more! 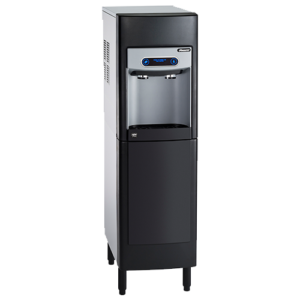 The Superior 410 dispenses both water and ice in the same unit. 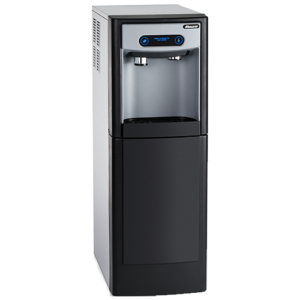 At 22.5 inches tall, this compact ice machine is the perfect addition to your office! The Superior 410 is energy efficient, sanitary, and stylish, with a stainless steel interior and trim. This machine stores 15 lbs of ice and is best suited for providing ice for up to 50 people. The capacitive touchscreen makes dispensing easy, convenient, and sanitary. 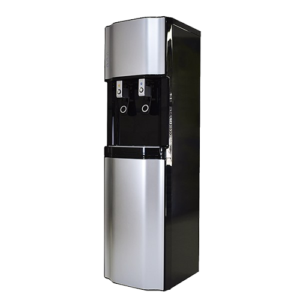 The Superior 400 is a compact ice machine and water dispenser that can store 7 lbs of “Chewblet” ice and produce enough ice perfect for 25-30 people. The Superior 400 is only 17.5 inches tall and requires no drain, making it easy to place on any countertop in your office! This dispenser is made with a stainless steel interior and a sleek trim to fit any office decor. 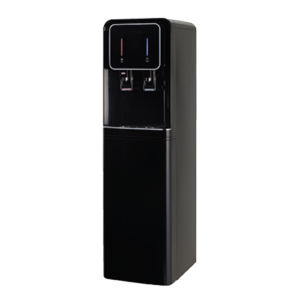 if you’re looking for a water dispenser that provides both hot and cold water, the Superior 110 is the perfect water dispenser for you! This water dispenser is made with surgical stainless steel and is equipped with an LG compressor, a built-in leak detector, and a hot water safety lock. To get the freshest and best-tasting water, this dispenser is available with Reverse Osmosis or 3 Stage Filtration. The Superior 210 water dispenser provides both cold and hot water, and the extra-large dispensing gap makes it easy to fill anything from big water bottles to coffee pots. The H20-2500 is built with surgical stainless steel and comes with large hot and cold tanks, so you’ll never be without water of any temperature. This dispenser comes with a built-in leak detector, a hot water safety lock, and two filtration options: Ultrafiltration or Reverse Osmosis, so you know you’ll be drinking the purest water.